The London Centre for Cosmetic Dentistry was co-founded by Dr Mervyn Druian, the dentist who introduced the practise of cosmetic dentistry to the UK. 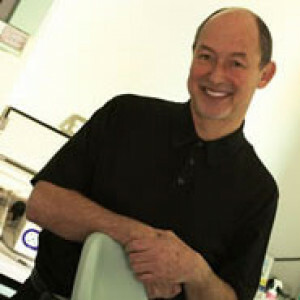 Considered a pioneer, Mervyn is an elite specialist in veneers and tooth whitening and creates beautiful smiles unique to the patient. He is regarded by both patients and peers to be one of the world's leading dental innovators and he was recently made President of the Alpha Omega Dental Society, only the 2nd European dentist in its 110 year history. 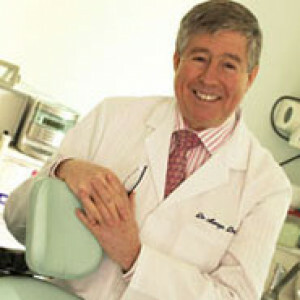 Appearing regularly in the press and television, Mervyn was the X Factor and Extreme Makeover's dentist as well as the dentist on Britain & Ireland's Next Top Model and looks after a number of A list celebrity smiles. As well as having a pioneering cosmetic practice, it also has an accomplished general practice run by Dr Lenny Fox and Dr Ken Spektor. The hygienists include Bernita, Jane, Maria and Kate all of whom look after their patients' smiles with care and dedication. Treatments comprise of all Cosmetic Dentistry including veneers with our ground breaking new veneer called the Zeneer, Nu Radiance Duet tooth whitening, Invisalign (invisible braces) as well as NuCalm a drug free sedation for nervous patients. We also provide Restorative Dentistry from bonding to bridges and General Dentistry including our wonderful Hygienists. We recently opened a Facial Rejuvenation practice where you are able to get anti-aging and dermal filler treatments. Having white teeth is incredibly important to me. I’ve had a lovely time at the practice and everyone has been very kind. The professionalism and attention to detail that they give throughout treatment. Plus the level of care and post treatment is first class. Having a good smile is one of the most important things especially when winning medals! Mervyn and his team have been brilliant, thank you! Being on television it is so important to have a beautiful smile and Mervyn and his team have given me just that with a great, new whitening treatment. My teeth sparkle nearly as much as Simon’s and mine are real! LOVE a selfie, HATE bad breath? Read these tips!